Automation holds great promise for streamlining the deployment, management, and configuration of complex modern networks, but to reap its full benefits, you'll need to approach it strategically. 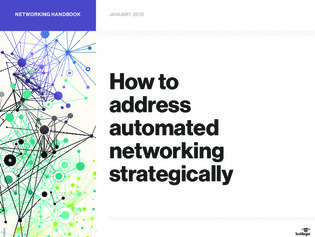 In this expert handbook, find out how to plan your network automation strategy and help your network engineers apply their talents to more cognitively demanding, high-priority tasks. Get targeted advice from our experts on how to make sure your network and the teams working on it are ready for an automation deployment.